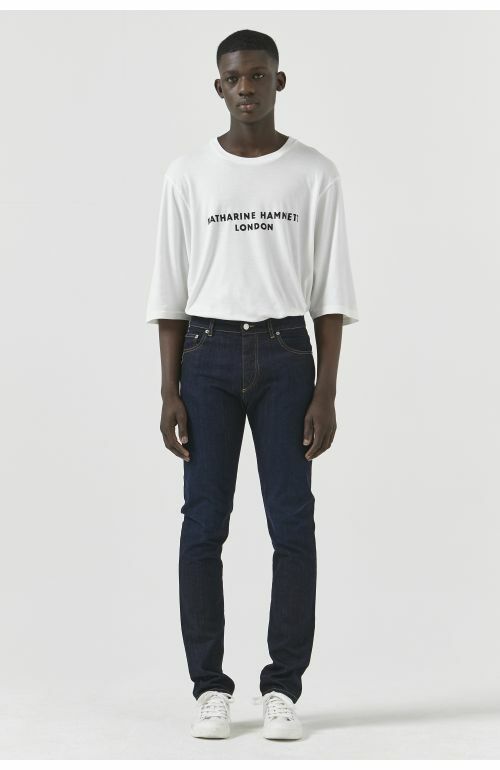 Katharine Hamnett London Marc Dark Organic Cotton Jeans featuring cropped low crotch fit, wide legs, two side jet pockets on front and one jet pocket at back, zip fly. Made in Italy. 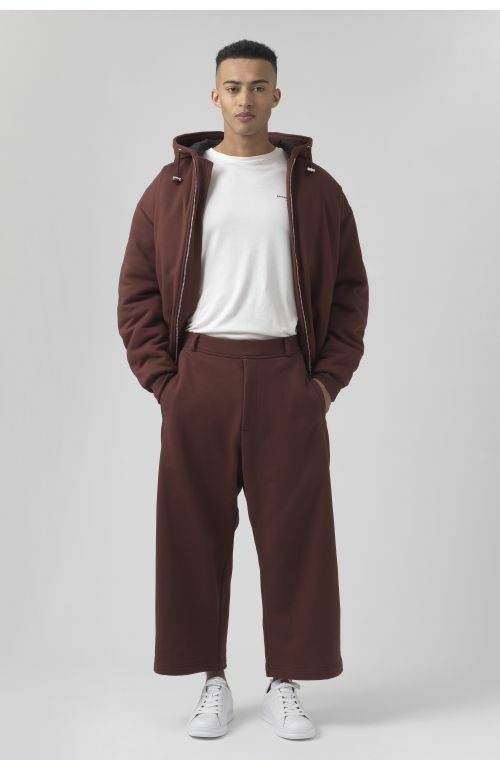 The model is 6'2.5"/ 187 CM and is wearing size 32. 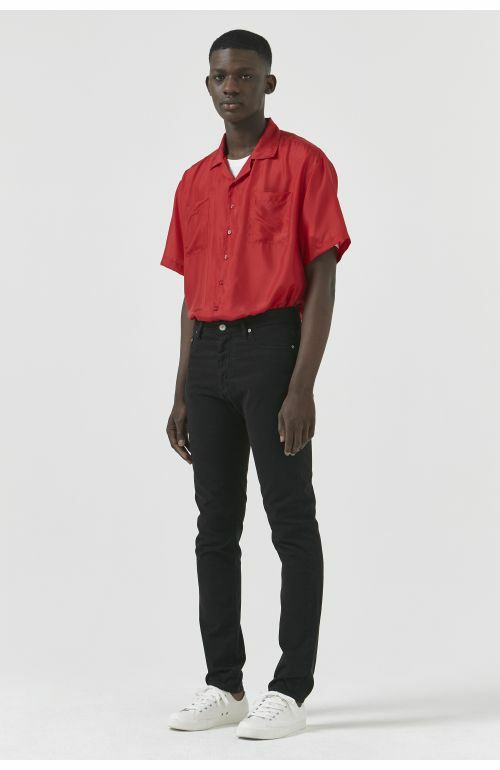 98% organic cotton, 2% EA comfort denim.